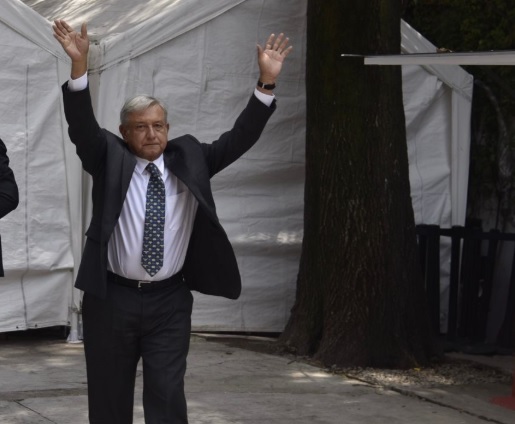 The Supreme Chamber of the Electoral Tribunal Justice of Mexico (TEPJF) delivered a certificate of vote majority to president-elect Andrés Manuel López Obrador, validating the election of June 1 in which he won by 53% of votes. The final results of the presidential election were validated and ratified after the landslide victory of leftist candidate Andrés Manuel López Obrador from the Juntos Haremos Historia (Together We Will Make History) coalition, formed by the political parties of MORENA, PT, and PES. The most critical elements of the election were subject to consideration by the plenary of judges today, who made the presidential election official. Yesterday, the magistrates from the Superior Chamber resolved the last four nonconformity trials related to the presidential election, which were ruled out given their untimely submission. The National Electoral Institute (INE) also shared their audit results for the election process for the Presidency, the Senate, and the Chamber of Deputies. The INE resolved that campaign expenses did not exceed budget ceilings for the presidential election. With those elements, the Superior Chamber conducted a public session today to discuss and approve the verdict on the eligibility requirements for the winning candidate; the final vote count was made for Mexico’s presidential election, which consisted of ruling out any votes which may have been annulled at regional chambers. Everything was prepared at the Superior Chamber of the TEPJF for the public sessions where López Obrador, his family, and his personal guests were invited. Those appointed to become members of the upcoming president’s cabinet were also invited, as well as his parliamentary coordinators. The electoral advisers, led by INE’s Director Chairman, Lorenzo Córdova, attended the event as guests. The TEPJF set up a pavilion on their main plaza for Andrés Manuel López Obrador.